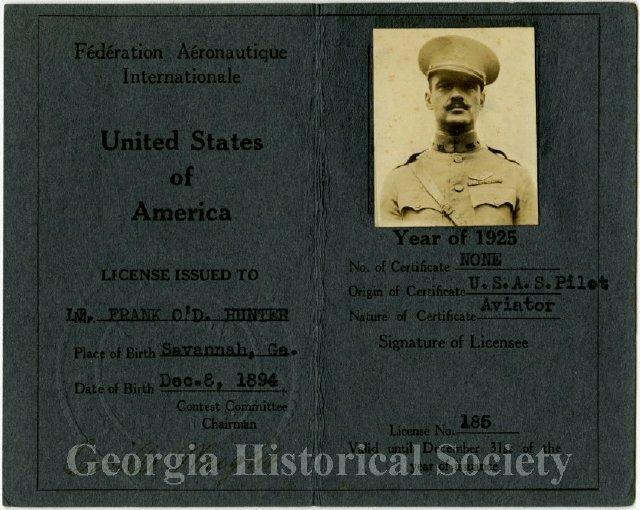 United States of America, Federation Aeronoautique Internationale, Annual License, Lt. Frank O’D. Hunter, No. 185. signed by Orville Wright. From the Frank O’Driscoll Hunter Papers, MS 1342.